These 8 e-learning videos (plus the Introduction to Basic Maths) lasting over 27 minutes covers the interesting concept of the time value of money to a business. These 10 e-learning videos and introduction video will help you understand this important business concept of the value of money over time, looking at payments, future values of amounts and payments, Excel functions to calculate this value, accounting periods and interest rates. Our view…… interesting and different, but we understand why these e-learning modules were developed. 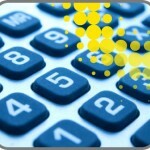 Businesses really want their employees to understand the time value of money – Business maths to manage cash flow!